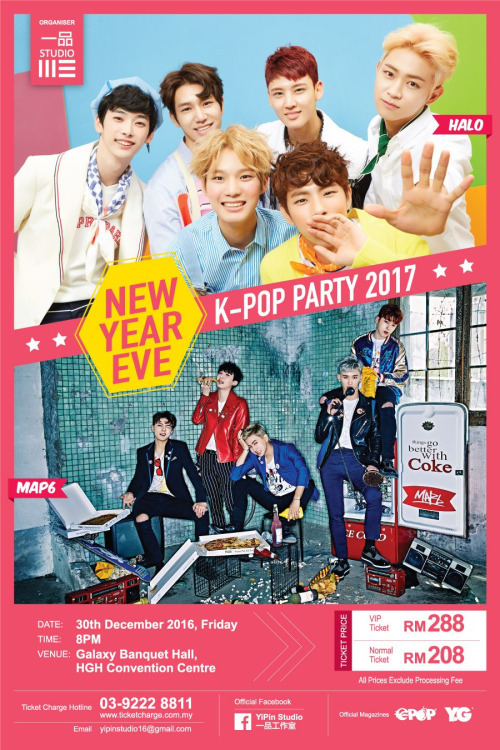 Celebrate this festive season with MAP6 and HALO at the New Year Eve K-pop Party 2017 on 30th December 2016 at 8PM, Galaxy Banquet, HGH Convention Centre, KL. Many benefits will be given to the ticket holders, so be sure to check them out. Ticketing info: http://www.ticketcharge.com.my/en/current-events/new-year-eve-k-pop-party-2017 or call TicketCharge Hotline +603 92228811 or email info@ticketcharge.com.my. 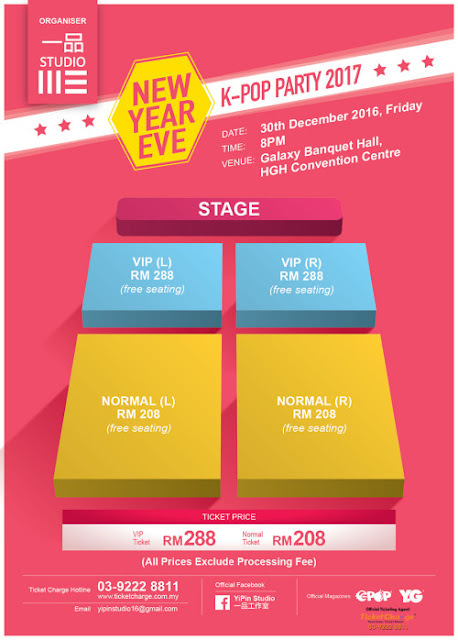 Grab the ticket to meet your OPPAs up close and end the year with wonderful memories.